Partner up with a legend! The official teaser trailer of Warner Bros. Pictures’ new comedy POKEMON Detective Pikachu is now out! POKÉMON Detective Pikachu also stars Justice Smith (Jurassic World: Fallen Kingdom) as Tim; Kathryn Newton (Lady Bird, TV’s Big Little Lies) as Lucy, a junior reporter following her first big story; and Oscar nominee Ken Watanabe (Godzilla, The Last Samurai) as Lt. Yoshida. 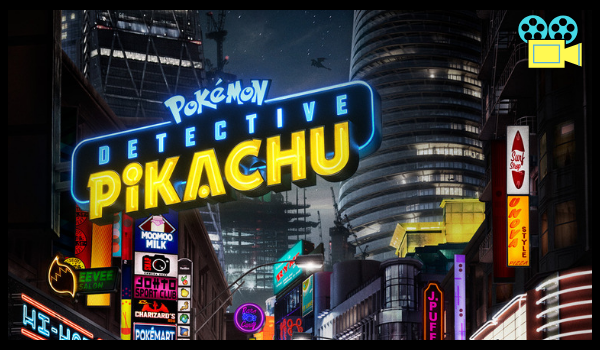 Directed by Rob Letterman (Goosebumps, Monsters Vs. Aliens), the POKÉMON Detective Pikachu creative filmmaking team includes two-time Oscar nominated director of photography John Mathieson (The Phantom of the Opera, Gladiator), production designer Nigel Phelps (Pirates of the Caribbean: Dead Men Tell No Lies) and Oscar-winning editor Mark Sanger (Gravity). Visual effects are by Moving Picture Company (Wonder Woman) and Framestore (Guardians of the Galaxy Vol. 2). POKÉMON Detective Pikachu opens in Philippine cinemas May 9, 2019.